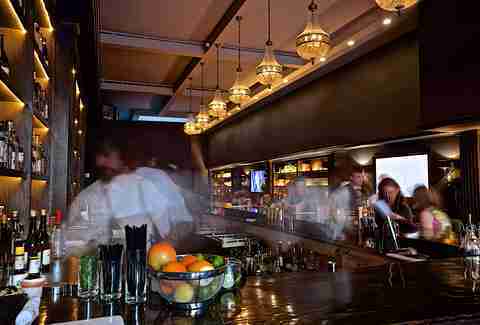 Upon hearing a bar is located in the W, it’s no surprise to hear that it’s also impeccably decorated, and you can consider this spot -- with its couches, fireplaces, and bookshelves -- a more refined version of a living room. 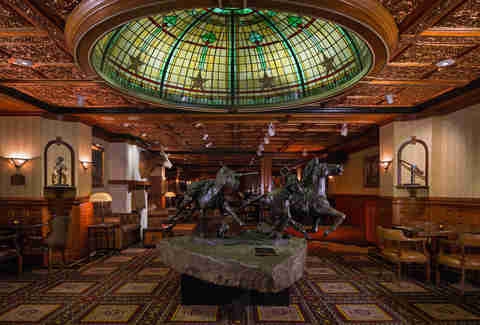 The Driskill was built in 1886, yet the look and feel of the bar & lounge are timeless. 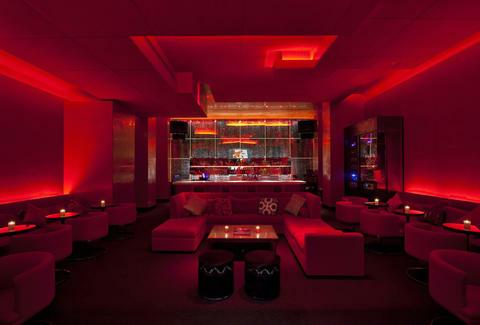 The space is defined by overstuffed caramel-colored leather sofas; ornate copper ceilings; and plush carpets. (There are also a few requisite Texas touches in the form of cowhide and the occasional piece of taxidermy.) It’s also said to be haunted, which might not make much of a difference in a strictly aesthetic sense... but it does certainly make for some interesting ambience. 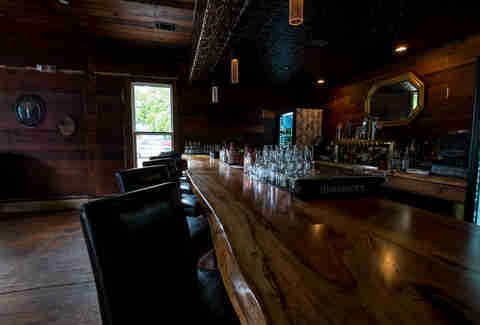 A relatively new spot located next to Stay Gold on East Cesar Chavez, Craftsman is set up in a converted home, with a big front porch, a picnic table-filled backyard, rooms stocked with mismatched antique-looking furniture, and a gorgeous wood-hewn bar serving both Prosecco and a selection of cocktails on draft. Oh, and there’s tether ball, a stage for live bands, and on Sundays, $3 mimosas in flavors like raspberry-cinnamon and blackberry-ginger. We can probably all agree that those are pretty beautiful things, too. 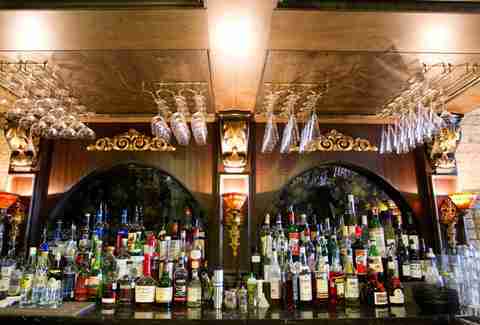 If we were to break out the metaphors, this drinkery would be the pearl inside of an oyster. But instead of an oyster there’s a parking garage, and instead of a pearl, there’s a beautiful cocktail lounge. Here you’ll find cozy conversation nooks, a sleek circular bar, and soft lighting (perfect for making both the bar and its patrons look attractive). Head toward Fifth and Colorado and look for the word “Cocktails.” And we won’t even get into how easy the parking is. 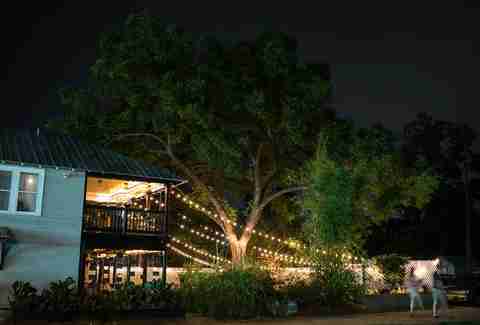 In a wonderfully Shakespearean turn, Juliet took over a space formerly occupied by Romeo’s. (Because would an establishment, by any other name, be as sweet?... sorry.) 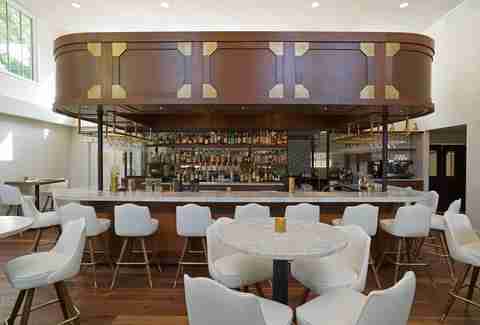 And though the Italian joint may technically qualify as more a restaurant, given its two chic bar areas -- a gorgeous white marble number occupying the clean, elegant interior, and another situated on the spacious garden patio -- it certainly qualifies for this list. From the outside, the only indication of this bar’s existence is a single red bulb and a buzzer, but once you make your way in, you’ll find a gorgeous bar space that belies the intentionally sketchy exterior. The people behind Midnight Cowboy have worked hard to establish and maintain the vibe of a classic cocktail lounge, and you can expect soft lighting, leather booths, and top-notch mixology in the form of tableside-crafted drinks. Occupying an ooh- and ahh-inspiring historic space on Congress, The Townsend is an upscale (but not stuffy) cocktail bar and performance venue featuring what they’ve dubbed “chic, throwback décor.” Think chandeliers, long leather banquets, a shining bar, and gorgeous couches -- Predominantly the kind you will be absolutely terrified to consume red wine within a 15ft radius of. 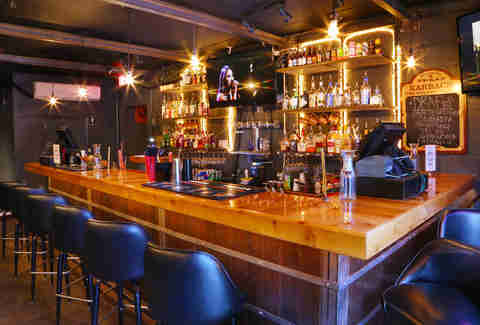 A relatively small bar and lounge on East Sixth St, Rhino Room has a focus on specialty martinis, which are served up in the kind of warm and inviting atmosphere that makes it terrifyingly easy to accidentally stay for six hours. (Just us?) 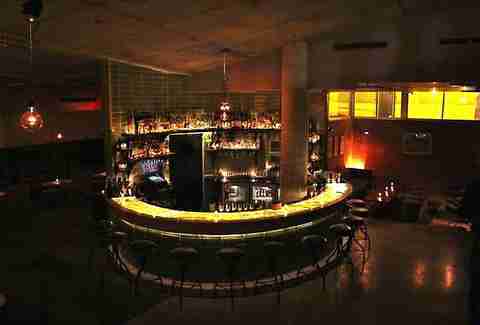 The bar’s exterior is emblazoned with its name in lights, almost visible from the horizon, while the inside is characterized by leather seating, shiny woodwork, low lighting, and, of course, a cool rhino insignia. One of three Weather Up locations in existence, Austin’s occupies a large, essentially unmarked house on Cesar Chavez. Sip a drink al fresco while lounging in the expansive backyard, or pull up a stool and slam back a few indoors, where the decor includes a copper bar top, leather-topped stools, and subway tiles -- an homage, perhaps, to the two New York locations. 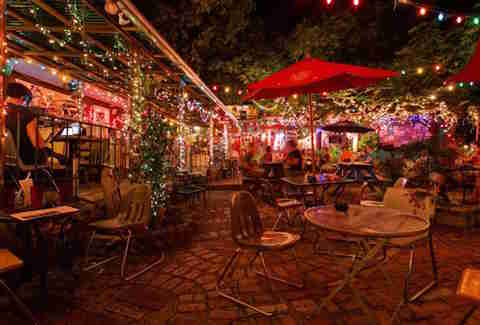 An ATX institution, Spider House occupies a building dating back to 1931, but while the inside is undeniably nice, it's the patio by evening that really steals the show. Decked out with enough string lights to adorn a thousand Christmas trees (not to mention the fountains, statues, and mismatched patio furniture), it's a captivating mix of charming and funky. 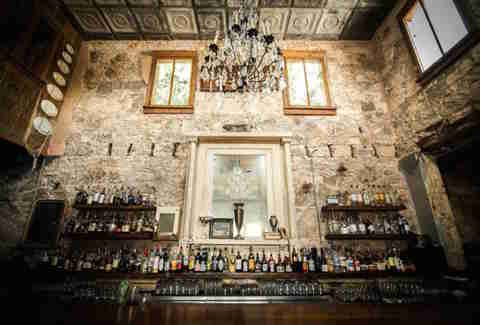 Sam Sumpter is an Austin writer who thinks ALL bars are beautiful in their own way. Follow her on Twitter at @Its _Sam_Babaaay.